West Marine is putting its money where its mouth is with its environmental efforts. The nation&apos;s largest specialty retailer of boating supplies and accessories is offering $10,000 to the winner of its first "Green Product of the Year" competition, which was announced at the Miami International Boat Show. The contest, "part of West Marine&apos;s mission to improve and protect marine habitats and reduce its impact on the environment," is open to individuals, manufacturers, distributors or inventors of boating product. The winner will be announced at the 2010 Miami show. Products will be judged on eco-effectiveness, cost-effectiveness, applicability and breadth of market impact, innovation and compliance with official rules. Entries are due Nov. 1. "One of West Marine&apos;s goals is to be an industry leader in sustainability," CEO Geoff Eisenberg said when the contest was announced. "Through this initiative, we hope to encourage innovation and a steady stream of environmentally friendly products so our children and our children&apos;s children will have the opportunity to enjoy plentiful oceans and beautiful blue waters, as we have." It&apos;s just one way the Watsonville, Calif.-based company is working toward a greener boating industry. West Marine partnered with the National Marine Manufacturers Association to promote 10 Tips for Greener Boating during the fall-winter boat show season. Coupons for discounts on "green" boating items were handed out to show-goers along with the environmental advice. The tips, which range from minimizing fuel spillage to keeping garbage on board, are intended to help boaters lessen their impact on the environment while adding to the boating experience. 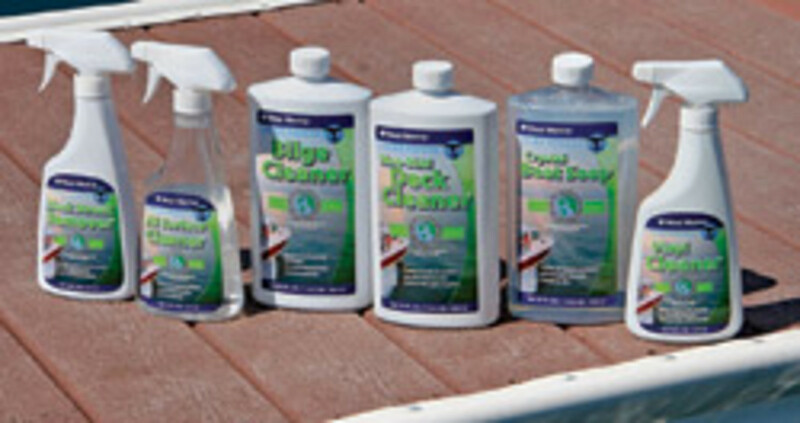 In 2008, West Marine launched its Pure Ocean line, composed of products that use fewer toxins, are competitively priced, and perform equal to, or better than, comparable products. Some products in the line carry the "Design for the Environment" label. DfE, as it is known, is a program established by the Department of Environmental Protection. Products that carry the logo have been recognized for safer chemistry by the EPA. There are now 989 DfE-recognized products, according to the EPA, which claims these products have eliminated more than 270 million pounds of worrisome chemicals. The Pure Oceans line began with 18 products last year, and another 24 are being added this year, according to Laurie Fried, director of community relations and chief sustainability officer for West Marine. The product line, she says, is selling "extremely well" at West Marine&apos;s 342 stores. "Research has shown that if people are given two choices, and they both are effective, and they are cost-competitive, and they work, the consumer will choose the greener option," Fried says. In addition to the contest and new products, West Marine is taking steps within its own structure to be more eco-friendly. At its Watsonville headquarters, for example, the company reversed its garbage can arrangement, designating big cans for recycled products such as paper, plastic and cans and smaller cans for other rubbish. This allows room for more recyclables, resulting in a 23 percent reduction of waste to the city landfill, Fried says. At its stores, West Marine has been taking steps such as turning off outside signage after store hours, reducing the amount of time inside lights are used, and using fewer air conditioners at one time. 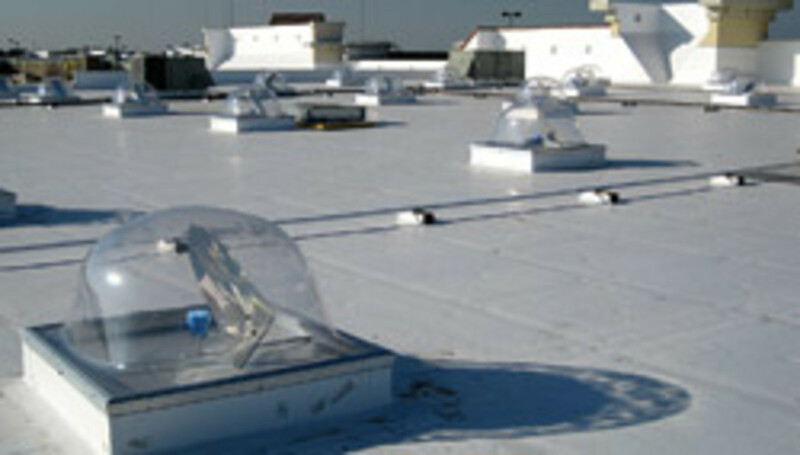 At its new flagship store, in Jacksonville, Fla., the company installed skylights with solar-powered GPS that track the sun and minimize the need for electric lighting. These steps and others have helped West Marine reduce energy consumption and costs, Fried says, and sharpened the company&apos;s focus on what it calls its triple bottom line: "People, Planet and Profit."